A happening place for people watching, Seaside, with its pastel colored homes and white picket fences, was made famous as the background scenery of the Truman Show. Although built in 1981, Seaside’s New Urbanism design remains timeless. Here you will discover outdoor theatre in season and plenty of taste tempting food carts, from heart healthy to sinfully yummy. For fine dining, who can’t resist Seaside’s waterfront restaurant Bud and Alley’s? 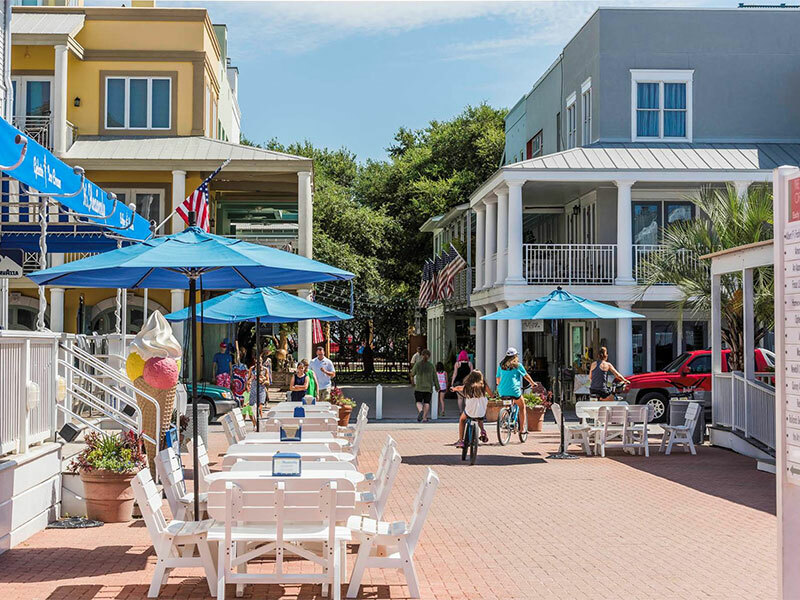 Located in the center of Scenic 30A, from either east or west, you’ll find Seaside easy to reach from your Dune Allen Realty beach vacation rental. Depending on the time of year, you can participate in Seaside’s annual half marathon / 5k or their Wine Festival (or both! ).